It’s important to understand how trim levels can determine the features inside of your Hyundai Sonata. At Barnes Crossing Hyundai, we’re excited to show you all five of the trims you can explore. It can ensure that you find the midsize sedan in Tupelo with all that you could possibly want. You can choose from the SE, SEL, Sport, Limited, and Limited 2.0T. Each has something different than the next, allowing you to fit within a desired budget while getting the features and convenience that you desire. What Are The Available Trim Levels Of The 2019 Hyundai Elantra GT? The rise in popularity of hatchbacks can be clearly seen in the growing popularity of the Hyundai Elantra GT. 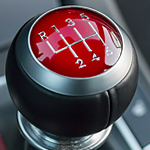 Its many incredible features keep car buyers coming back year after year to see the new additions. That is why our team of hatchback experts at Barnes Crossing Hyundai located right here in Tupelo are so excited to tell you all about the various trim levels of the all new 2019 model! Tupelo drivers who are in search of a crossover SUV should take a look at the Hyundai Santa Fe at Barnes Crossing Hyundai. The Santa Fe is a popular choice among consumers because it offers an abundance of features, such as advanced safety features that provide you with plenty of protection. 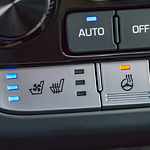 Infotainment has become one of the expected features of vehicles. They have become so expected that they are judged by the quality. 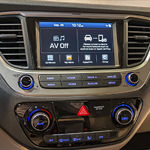 The 2019 Hyundai Accent at Barnes Crossing Hyundai is a good example to follow of an infotainment system. This feature is easy to use and has all the features you need. One of the features of the infotainment system in the Hyundai Accent is a touchscreen that is actually very responsive to every input. With the infotainment is access to apps through Apple CarPlay or Android Auto.